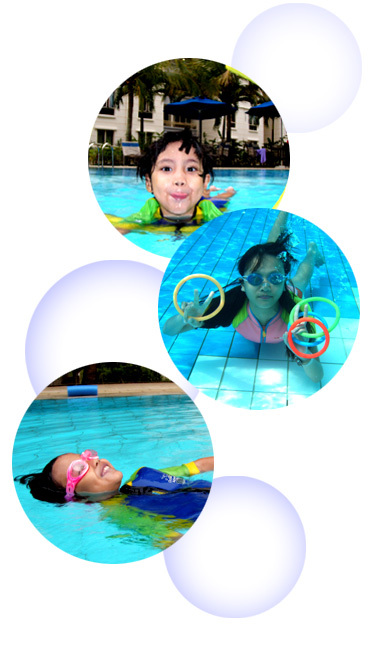 Q: Is StyleSwim School right for your child? Many of our clients come to our program because they were referred by a friend. We certainly do appreciate that and think of these referrals as the ultimate in client satisfaction. Q: What is the age range in the big group class? Q: Can I swim during pregnancy? Swimming is considered one of the best forms of exercise for pregnant women, no matter if you are a beginner or have been swimming for years. Swimming is a great way to get an allover workout as well as a good cardiovascular workout. The other main advantage of swimming during pregnancy is that it offers a weightless environment in which to exercise, which will also prevent the risk of injury. Q: Am I too old to learn swimming? I would say ‘Better late than never.’ At older age swimming is highly recommended as it does not cause a lot of strain on the body and keeps you fit, in shape and healthy. If you have missed the joy of swimming until now then some swimming classes are highly recommended for you. Q: How do I arrange for a small group class for my child? For small group class, if you have the minimum number of participants for us to start one, we will try to arrange it on a preferred day and time for all your participants. However this would also depends on our teacher’s schedule so we try to juggle both to find an ideal slot for everyone! If you are looking at joining an existing big group class that still has vacancies, it can also be arranged. If you are looking at a private individual class for your child, then simply let us know your preferred time and day. We will try our best to make the necessary arrangements to accommodate your request. Q: Are caps and goggles required? It is necessary to wear a cap or goggles. Wearing a cap is to keep long hair out of their face and also for the swimming teacher to identify his students. Wearing goggles is to protect the eyes especially for children with sensitive or sore eyes. However, it is important that children do not become reliant on them. Remember children need to learn to swim without goggles for safety reasons e.g. if they fall in. Q: When can we enroll? StyleSwim is an ongoing program that is year round, so lessons are available for as long as you would like to attend. Our clients can begin lessons at anytime and must let us know when they want to start their first lesson or when they want to stop their last lesson. Q: School exams coming, can my children stop for 1 month? It is not really advisable for beginners to stop swimming lessons when they are actually picking up the skills / strokes. If you stop them for 1 month then come back again, they might forgot the skills and have to start from stretch again. So try your best to attend your weekly swimming lessons. Q: What is the class size for big group class? For big group class, we usually recommend a group size of not more than 10 per teacher. However, all our teachers are trained and experienced to teach a group of 10 consisting of different ages, with different abilities in swimming. Q: Is survival courses included in the course? Yes, the students will be tested on the Singapore Sports Council Survival Course on the Swim Safer Stage 1, Swim Safer Stage 2, Swim Safer Stage 3, Bronze, Silver and Gold Awards. Certificates and badges will be issue to students upon passing their Swimming Tests. Q: How long does it take to complete the entire program? Generally it will take 2 to 2.5 years to complete the entire program from a fresh beginner to Gold Awards. The learning ability will also depend on the child’s learning curve. Q: What are the qualification of your swimming teachers? They are qualified teachers from the Singapore Sports Council (SSC) or Singapore Swimming Teachers’ Association (SSTA) and Singapore Life Saving Society (SLSS). Q: Will you keep changing Swimming Instructor for my lesson? Swimming Instructor will only change when you request if not the same Instructor will teach the entire program. But due to circumstances beyond our control, the Swimming Instructor reserves the right to postpone or change to another Swimming Instructor. Q: What happen if I don’t like the Swimming Instructor? StyleSwim is completely dedicated to your total satisfaction and if for any reason you are not satisfied with your Swimming Instructor, we will change another Swimming Instructor for you immediately. Q: How long will it take my child to learn how to swim? Every child is different and therefore it is impossible to give an exact answer to this question. Each child progress at a different pace, has a different personality. However practice and exposure are the keys to learning therefore if you want your child to learn fast you need to take them to the pool regularly to practice. Q: Why do I feel that my child is doing the same skill over and over again? Repetition and Practice, Practice, Practice! It seems silly and even downright boring for us as adults to work with or see our children doing the same skills over and over again; but remember practicing a skill helps reduce the fear of the unknown. Practice makes perfect and repetition makes it instinct. Q: When do I need to do registration and payment if I want to start lesson? Registration & payment should be made in advance before the lesson commence. The reason it’s because the swimming teacher have to accommodate your lessons timing so they must make themselves free on this specific day and time. Q: What if my child got phobia getting into the pool? If your child is three or four and is afraid of getting into the pool, there is no reason to rush him into swimming lessons. The best thing to do is encourage him to join you in the shallow end of the pool just to splash and play. Little by little, get him used to the idea that the pool is a wonderful and fun place. When your child does begin swimming lessons, go with him and cheer him on. Stay on the side of the pool until he is ready to stay alone. Q: Are private lessons better than big group lessons? For beginner children above the age of 5, private classes are not recommended. Children learn from one another. They feed off or mimic each other in their regular behaviors and therefore do better in a group setting. A very fearful child below the age of 5 that is not functioning in a group may benefit from private or semi-private classes. But our instructors recommend children with no basic swimming should take up private classes for 2 months before they join group classes. An adult or teen interested in attaining a specific goal could be recommended for privates classes. If parents or children can’t accommodate the big group lessons timing, then they must do private, semi-private or small group classes which they must form their own team of people. Q: Can I request for a female or male swimming teacher? Yes you can, subject to availability and schedules. Q: What causes fear of the water? Some of the more common causes of early fear of the water have to do with the way parents relate to their children in and around water. Being forced into water activities before being properly prepared. Being reared by parents who are afraid of the water and have either knowingly or unknowingly communicated this fear to their children. Being involved in or witnessing a traumatic water accident.